Today's great 2x arching prom groups! Quark | April 13th 2018 - SolarChat! 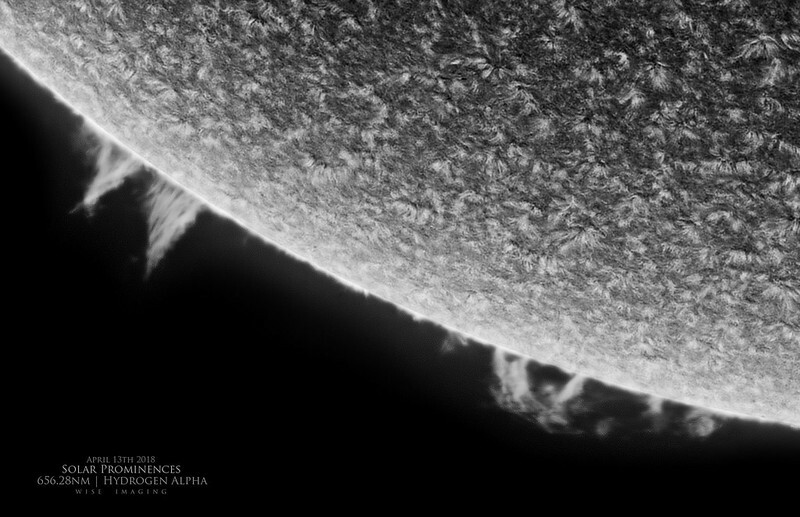 We are all treated with some really great prominence groups today. I wasn't able to image this morning when my seeing is good, so I had to settle for 5pm in the evening with the worst seeing I could muster. I had to grab more frames this time around to hope to get a few to even bother with. Getting focus was even a nightmare for the most part. Anyhow, managed to get enough data to produce something. 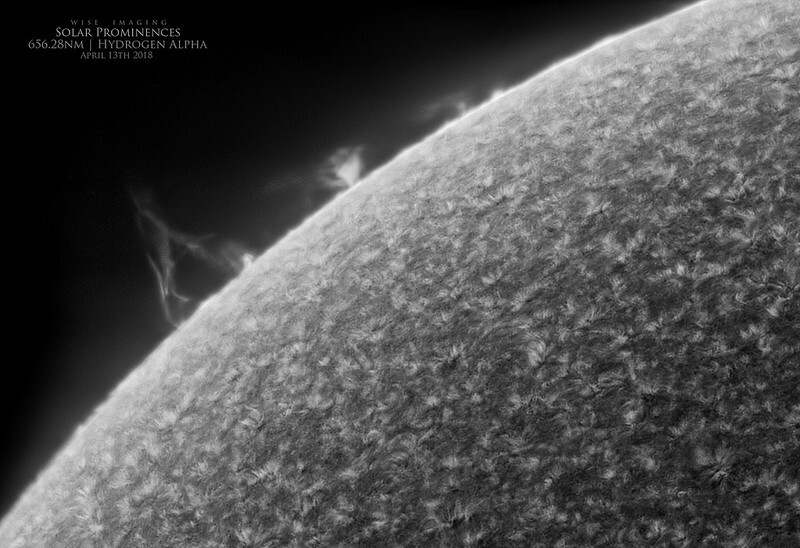 The prominence groups are great, two big arches. The main big arching prom is still active and going, but some really great candle proms are up, and near by there is a really great, but quite feint, candle like arch too (had to stretch that one out of the data). The little plage is even quite interesting and giving up some detail and activity. The little helper is the one who truly made it happen...great prom images, Marty. 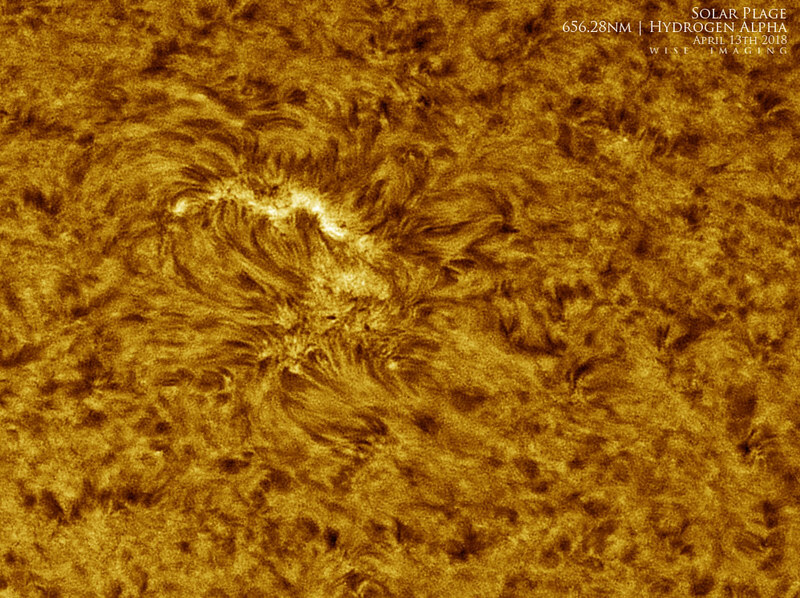 Beautiful solar shots and of the cute helper. Very nice images, Marty. Always good to have a little help. 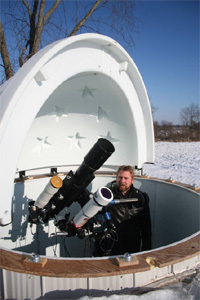 Another budding solar astronomer. You seem to have quite a reasonable quark there. Another set of sharp images Marty!!! Lovely detail in the proms.